It’s bad enough that every week there’s another study finding germs everywhere. Now it’s chemicals. Here are two recent alarms sounded by reputable newspapers about the problem of toxic substances found on commonly used items. 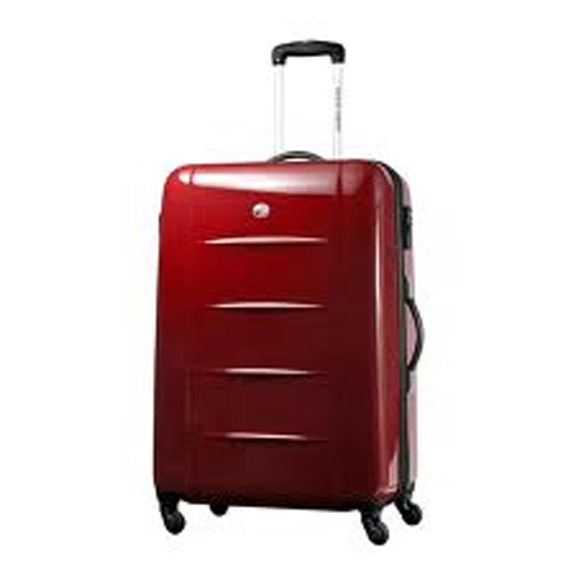 The LA Times says that Samsonite is recalling 250,000 suitcases because a Hong Kong consumer group found a sample from a side handle “had levels of polycyclic aromatic hydrocarbons higher than recommended in voluntary guidelines.” The substance is apparently a carcinogen. 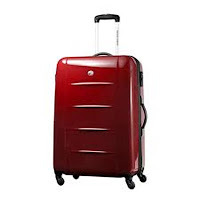 The model in question, called “Tokyo Chic,” [shown above] has a pull-out end handle that is much more likely to be used than the side handle. Also, the story says the high levels of polycyclic aromatic hydrocarbons were found in “a sample.” Really? Was it just one sample? The article closes with the suggestion that you shouldn’t drink water from a hose, but if you do, you should let the water run for a few seconds first. Now, people, with everything we have to worry about in today’s world, are these real problems? Unless you are a member of an airline flight crew, how often do you travel and come in intimate contact with the side handle of a suitcase? And how often do you feel the need to drink from a garden hose? If you have ever tried drinking from a hose, you know you always let the water run for a few seconds because water that is standing in the hose is usually warm. By the way, that headline “Don’t Drink The Water: Study Warns Drinking From Garden Hose” doesn’t make any sense to me. Let’s just say that I was able to get to sleep without much worry about these two cancer threats. Whatever happened to personal contact? What do interns do when they're on call? Vague radiology reports: Can anything be done?